Upcoming Tencent web drama Psychologist 心理师 stars Qiao Zhenyu (Perfect Wedding) as Xia Mu, an experienced psychologist and hypnotist with a split personality. Tang Yixin (I Love That Crazy Little Thing) stars opposite Qiao as his other personality and potential love interest Ouyang Xin, while Qi Ji (Memory Lost) costars as a detective. Checking his watch to see if it’s time to air yet. Chen Qiao’en is really getting all the men this week! 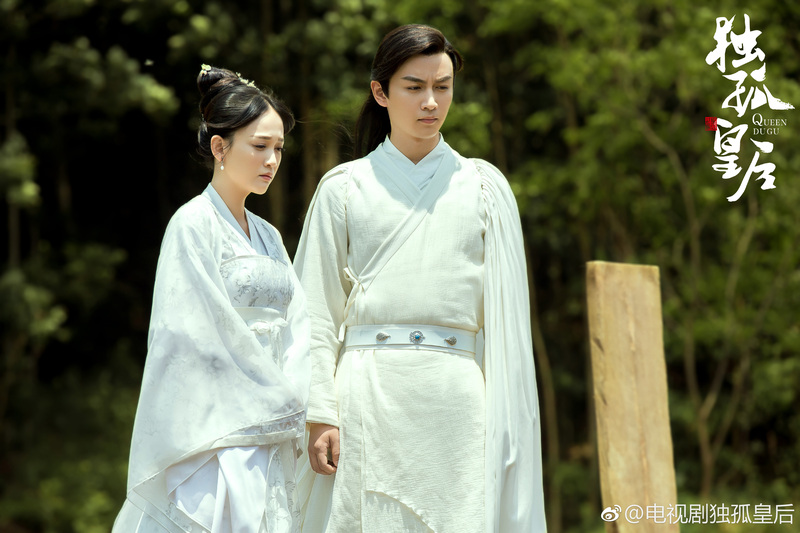 A new set of solo stills were released for her upcoming series with Huang Xiaoming,Qi Ji, and Kimi Qiao Renliang – Cruel Romance. 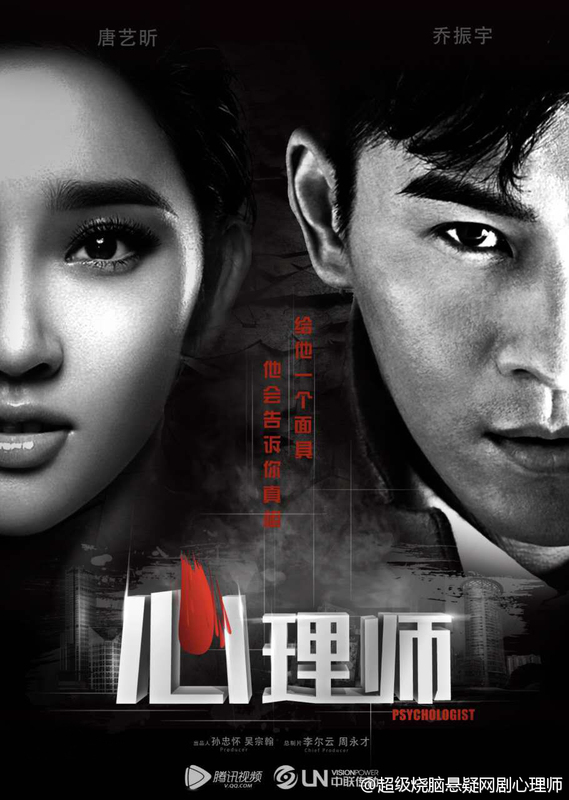 The drama is set for a Chinese New Year release next year on Hunan TV. What the majority of us will probably look like while watching this drama… except not as pretty-looking. Huang Xiaoming and Joe Chen Qiao’en recently finished filming for Cruel Romance (锦绣缘·华丽冒险), a Republican-era romantic drama that takes place in Shanghai and tells the love story of country girl Rong Jinxiu (Qiao’en) and triad leader Zuo Zhen (Xiaoming). We still have a way to go until an air date is announced, although a cast member said on Weibo that he expected the drama to air in September. In the meantime, tide yourself over with an action-packed trailer and some newly released stills. If you were Chen Qiao’en, would you pick Huang Xiaoming or Kimi Qiao? We weren’t supposed to see Huang Xiaoming star in a drama after he did Dark Fragrance (暗香) in 2009, but then Summer’s Desire (泡沫之夏) came along, and then he got the chance to film The Patriot Yue Fei (精忠岳飞). Now he’s back to 1930s Shanghai with his currently filming drama, Cruel Romance (锦绣缘·华丽冒险), which also stars Taiwanese actress Joe Chen Qiao’en. Based on a novel by Nian Yi, Cruel Romance is the risky love story of Zuo Zhen (Huang Xiaoming) and Rong Jinxiu (Chen Qiao’en). This will be their second collaboration after Xiaoming’s guest appearance in Breaking the Waves (激浪青春), which does not appear to have ever aired in theaters, and Xiaoming’s first drama after he won this year’s Best Actor at both the Golden Rooster Awards and the Huabiao Awards. Cruel Romance will also feature appearances from Kimi Qiao Renliang, mainland actress Lv Jiarong (Schemes of a Beauty, Swordman), Hong Kong actor Gardner Tse (The Mad Phoenix), and mainland actor Qi Ji (The Last Tycoon). Check behind the cut for the drama’s first batch of stills. Deng Jiajia reassures her mistress that their drama is really finally being broadcast. 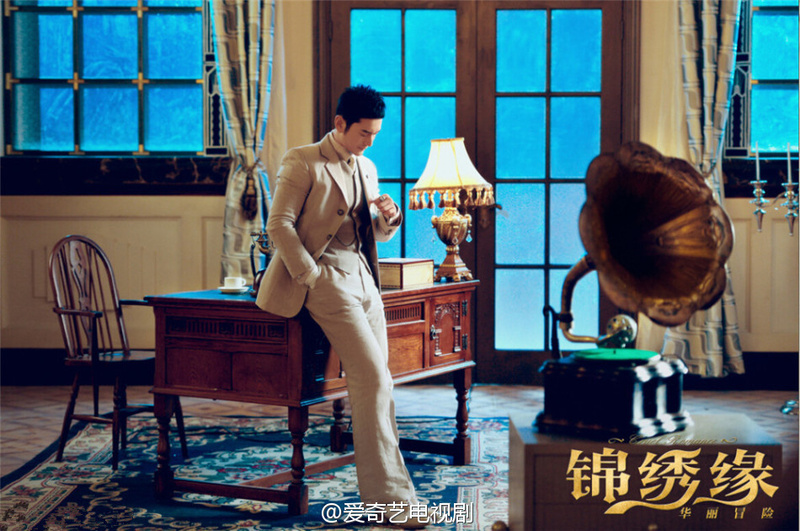 Having been filmed in 2010, the drama Romance of the West Chamber has finally started broadcasting. (Though three years isn’t really that long – Yang Mi’s Great Qin Expressway was filmed in 2007 and didn’t come out for some five years, and I’m sure that there are others that waited longer.) For a detailed summary of the traditional plot, you can go look at Wikipedia here; for what the stills that have been released make it out to be, know that it will involve Deng Jiajia as Hong Niang (the maid turned matchmaker) looking more refined and well-off than most young ladies; Zhang Xiaocheng as the romantic young scholar (there aren’t many high quality stills of him, but he is youthful and serious looking enough), and Zhou Qiqi as the young lady who could also pass for a ball-jointed doll. 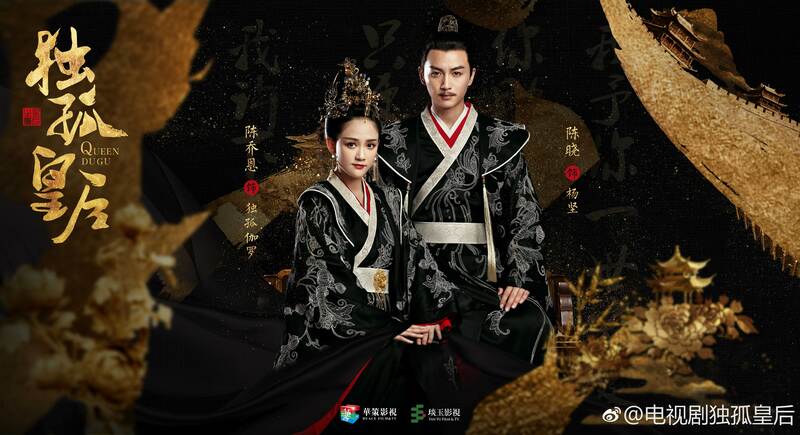 Deng Jiajia’s Hong Niang will also get her own romance story with Qi Ji‘s general Du. Look for stills portraying a very close lady-and-maid relationship below, or watch the trailer. (As a heads up, the pictures below are predominated by Deng Jiajia and Zhou Qiqi).